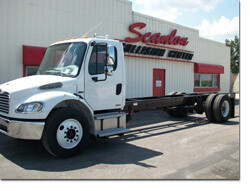 We have many used trucks for sale. Contact us for free estimates on autos, trucks and other equipment. Let our professional technicians restore your vehicle to like-new condition. We use state-of-the-art equipment and the latest technology in auto and truck repair. We are located 3 miles east of Herscher IL on IL State Route 115.